Following on from our reviews of the worst films of the year, we move on to Part 2 of our year end review of 2017. We’ve compiled our list of the year’s best films and we’ll start by running down from 20-11 – it’s been another good year and we’d highly recommend checking out the films in the ‘narrowly missed out’ section at the bottom of this post, but ultimately these are what we’d regard as the best 20! Taylor Sheridan’s directorial debut and his follow up to his screenwriting on ‘Sicario‘ and ‘Hell or High Water‘ continues to mark him out as one of the smartest and sharpest filmmakers in the business. 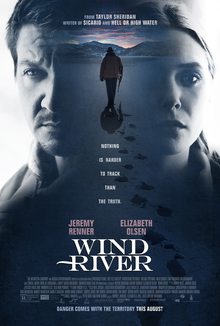 Ostensibly a murder mystery on an Indian Reservation, ‘Wind River‘ (like the aforementioned films) digs a lot deeper than this simple premise to tell a gripping, engrossing story that also has a lot to say about the world that these characters inhibit. This is intelligent, adult drama at its finest, and it’s the third year running a film scribed by Sheridan is in our Top 20 films of the year. 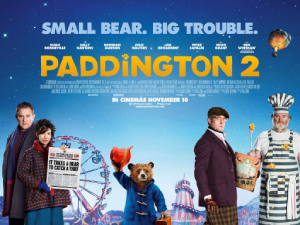 From one genre to another…’Paddington 2‘ is just a delight from start to finish. Improving on its (also good) predecessor with a better villain and a stronger handle on its characters, Paul King once again blends the nostalgic with an extra dose of heart and warmth to deliver the best family entertainment of the year. You’ll come out of the cinema feeling happier than when you went in, which can never be a bad thing! 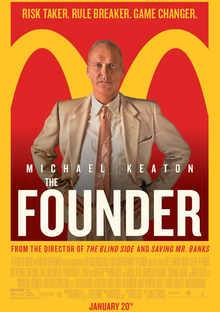 A film that went under the radar amidst the flurry of Awards contenders in the early part of the year, John Lee Hancock’s origin story of McDonald’s is sharp, engrossing and led by a magnetic performance from Michael Keaton. It tells the story of the birth of McDonald’s from a small family business in San Bernardino to the worldwide conglomerate it is today, and like many origin stories of this ilk, the truth is far uglier than the family friendly corporate image the company likes to portray. ‘Logan‘ is both a fitting conclusion to Hugh Jackman’s time as ‘The Wolverine‘ and one of the best comic book movies in recent memory, largely because it forges its own path to tell a rich story that feels true to the arc of the character. 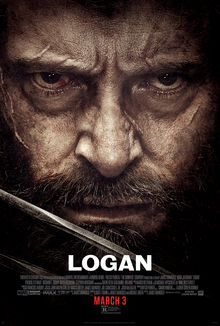 In the oversaturated world of comic book films that tend to stick rigidly to an agreed formula, it’s refreshing to see Fox pushing the boundaries with the kinds of stories comic book adaptations can tell, from last year’s meta-comedy ‘Deadpool’ to this ode to the legendary X-Men character, and ‘Logan‘ is superb viewing, whether you like comic book movies or not. Sean Baker’s follow up to his iPhone shot debut ‘Tangerine’ is a more conventional movie from a filmmaking sense, but it retains the same colourful design palette and the same empathy for characters living on the edges of society. 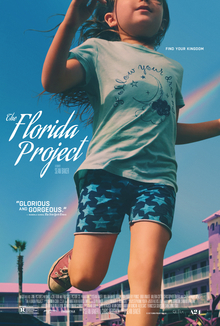 Set during a typical hot Florida summer, ‘The Florida Project’ is about a 6 year old girl called Moonee (Brooklynn Prince) who lives with her mother Halley in a basic motel that caters primarily for extended stay residents. Against the backdrop of the nearby Disney theme parks, Baker skilfully draws parallels between the booming tourism sector and the lives of these characters living on the verge of poverty, out of sight and out of mind. It’s a great film about childhood and it also reminded me of one of last year’s best films in ‘American Honey‘, which is no bad thing. Martin Scorsese’s latest film couldn’t be more different from his last (‘The Wolf of Wall Street‘), a religious epic set in feudal Japan and centering on a couple of Jesuit priests who travel to the country to locate their mentor. 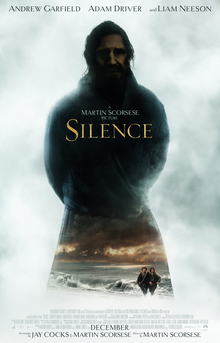 Religion has always played a key part in Scorsese’s works and ‘Silence‘ is a film he’s been attempting to make for some time, and it’s a film I like the more I think about it. Steven Soderbergh’s return to filmmaking is a well made heist caper, funny with a terrific cast on fine form. 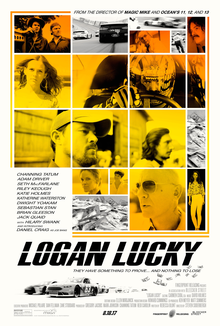 Set in North Carolina, the film follows two down on their luck brothers (Channing Tatum and Adam Driver) who decide to formulate a plan to rob the Charlotte Motor Speedway during a high profile NASCAR race. It’s very funny, paced well and there’s a dose of heart underneath the comedy – I liked it a lot. 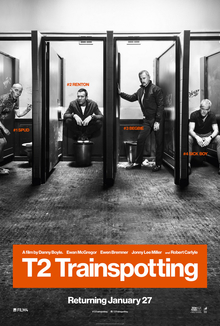 In recent months the reaction to the long awaited ‘Trainspotting‘ sequel has cooled somewhat from the earlier, glowing reviews, and to be fair I haven’t seen it since it was released in cinemas, but I was really taken by it. Comparing it to the original is a fool’s game, but on its own merits, I thought ‘T2: Trainspotting‘ was a superb sequel that paid tribute to the original and its past without feeling like a retread, and I particularly enjoyed just how reflective and melancholic it got at times. 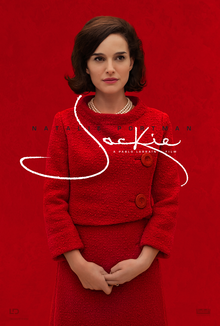 An unconventional biopic about arguably the most iconic First Lady, ‘Jackie‘ is a mesmerising tour de force from Chilean director Pablo Larrain and lead actress Natalie Portman, following Jackie Kennedy in the immediate aftermath of her husband’s assassination. It’s an outstanding film about the grieving process and I’d also draw attention to potentially the year’s best score, an organ driven piece from the imperious Mica Levi. Mel Gibson’s war drama doesn’t begin well, but once it hits its groove it’s a phenomenally powerful piece of work. 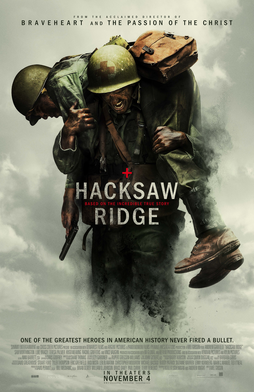 Telling the incredible story of Desmond Doss (Andrew Garfield), a soldier who refused to bear arms during WWII, ‘Hacksaw Ridge‘ starts to excel as soon as we hit the battlefield on the imposing cliffs of Okinawa, with superb battle sequences dovetailing with the emotional toll of the performances and the story being told.